Create and launch a customized charity campaign within minutes. Fans donate to charity and are entered to win a prize of your choice. 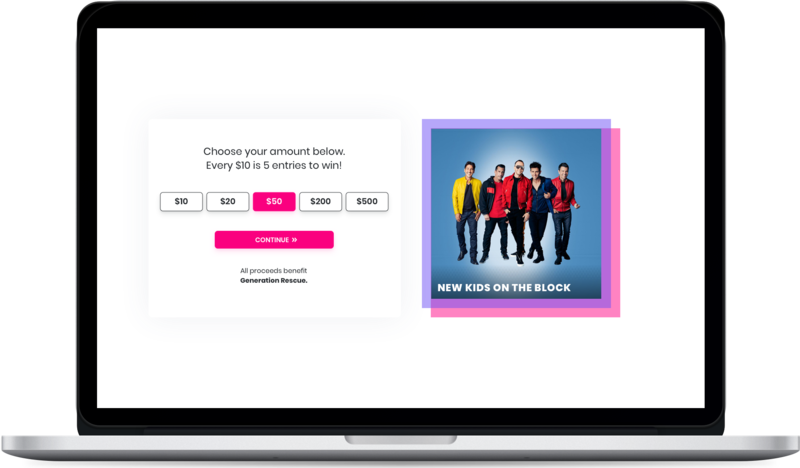 Collect fan data while raising money for charity. Powerful sweepstakes tools at your fingertips. One-click setup gets you up and running within minutes. We handle the payment processing and making the charitable donation on your behalf. It's easy! View your campaign results from your dashboard. 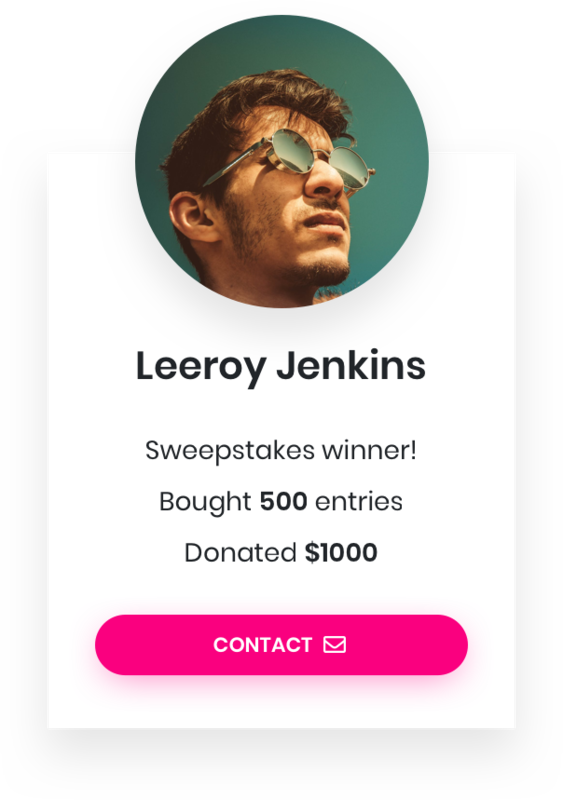 Track your number of entries, amount raised, and export fan email addresses.